Johnny Knoxville stars in this US comedy directed by Tim Kirkby. 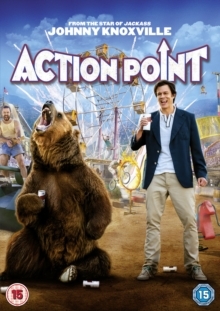 The film follows D.C. (Knoxville), the owner of a low-budget amusement park named Action Point which is popular for its dangerous rides and out-of-control staff. With his teenage daughter Boogie (Eleanor Worthington Cox) coming to visit, D.C. runs into trouble when a new corporate theme park opens up nearby. Desperate to save his park and impress his daughter, D.C. and his staff go to extreme lengths in order to bring in new customers. The cast also includes Chris Pontius, Dan Bakkedahl and Camilla Wolfson.